What are the differences of Moto G4, Moto G4 Plus and Moto G4 Play? Everything you need know if you cannot decide which Moto G4 is for you. This post discuss the differences of Moto G4, Moto G4 Plus and Moto G4 Play in availability, display, CPU,RAM, storage, camera, Moto Maker customization and color options, fast charging (turbo charging), and fingerprint sensor. For the 4th generation of Moto G, Motorola (now under Lenovo), announced 3 different models: Moto G4, Moto G4 Plus and Moto G4 Play. Then which one is for you? What are the differences of Moto G4, Moto G4 Plus and Moto G4 Play? 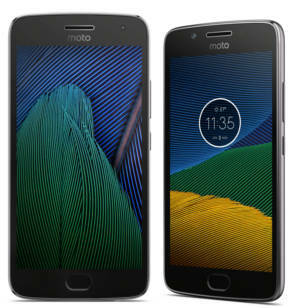 This post will try to help you understand the differences of these 3 models so that you can make better decision when you want to buy one Moto G4 (Moto G 2016). 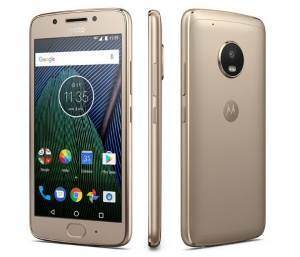 To download official Moto G4 user manual, Moto G4 Plus user manual anf Moto G4 Play user manual in your own language, please check this page. Although 3 models of Moto G4 were announced, only 2 of them are currently available. Moto G4 Play will be only available later this summer. Moto G4 Plus and Moto G4 are currently available in selected countries and regions, mainly India, Brazil, Mexico and a few other countries in Latin America. In early June, Moto G4 will be available in Europe, the Middle East, and other Asian regions. Moto G4 Plus will be available in Europe, the Middle East, other Asian regions, and other Latin American regions from the second half of June. So, many Motorola fans in US, Europe and other regions are a bit disappointed. Apparently, Motorola (Lenovo) is too short-sighted in Moto G4 release. Will this help the success of Moto G4? Very unlikely. The availability strategy of Moto G4 is probably a disaster for Moto G4 sales. With 3 different models (G4, G4 Plus, and G4 Play) combined, Moto G4 probably cannot exceed the sales of Moto G3 (2015) or Moto G2 (Moto G 2014). Both Moto G4 and Moto G4 Plus share similar display: 5.5″ 1080p (full HD. 1980*1080) display. Moto G4 Play is smaller (5″) with a 720p (1280*720) screen. So, the size of Moto G4 Play is similar to previous generations of Moto G devices (e.g., Moto G 2015 and Moto G 2014). Moto G4 and G4 Plus are bigger than previous generations. Android Marshmallow update for Moto G 2015 brings many new features and improvements. But for some owners, some problems or questions arise. 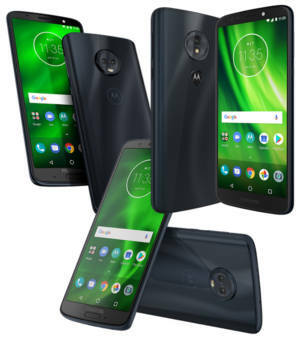 This post will show you the solution to the top 5 problems you may face after getting Android Marshmallow update for Moto G, Moto X and Moto E. Missing camera shutter sound control, SD card usage, missing Motorola Assist, priority mode and battery life are covered. Have you got Android Marshmallow update for Moto G 2015? Motorola started to roll out Android Marshmallow (Android 6.0) update to Moto X Style, Moto X Play, Moto X Pure, Moto G 2015 (Moto G 3rd Gen), Moto G 2014 (Moot G 2nd Gen) and Moto X 2014 (Moto X 2nd Gen) in early December 2015. 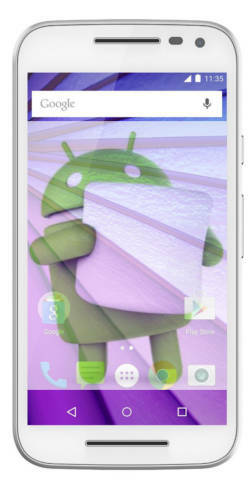 Only Moto E 2015 (Moto E 2nd Gen) is still on the waiting list. Now more and more Moto users are enjoying latest Android Marshmallow. Some prominent Android Marshmallow features are explained on this guide and this post. Although the overall experience of Android Marshmallow update for Moto G 2015 and other Moto devices is good, some problems of the Android Marshmallow update for Moto G 2015 are also reported. This post will try to address the top 5 problems of Android Marshmallow update for Moto G 2015, and of course the solutions. Please note, in the post, Moto G 2015 (Moto G 3rd Gen) is used, but this post also applies to Moto X (Pure, Style, Play, 2nd Gen) and Moto G 2014 devices. The code base for Android Marshmallow update for Moto devices are similar. So, the problems of Android Marshmallow update for Moto G 2015 can also be found on other Moto devices after updating to Marshmallow. Motorola camera app is functional and yet simple to use. One of the handy features is togging on/off shutter sound. For Moto G 2015 camera guide, please check this page. It seems the Android Marshmallow update for Moto G 2015 does not change much on the camera app. But soon you will notice that the shutter sound control is missing in the new camera app. Actually, more and more Android phone manufacturers removed the shutter sound control in their camera apps. New and exciting features and improvements of Moto G 2015. How does it stand compared to Moto G 2014? Update: Official Moto G 2015 user manuals in different languages are available for read and download here. Motorola updated Moto G to the 3rd generation last week (together with Moto X Style, Moto X Play and Moto X Pure Edition). Now the question is what the exciting new features in Moto G 3rd Gen (Moto G 2015) are? 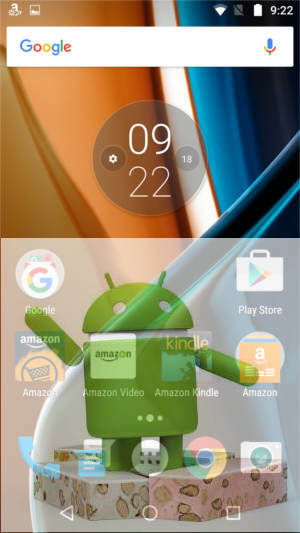 This post will try to answer this question so that you have better understanding whether you should get Moto G 3rd Gen (Moto G 2015), especially compared with Moto G 2014 (Moto G 2nd Gen). Motorola used to keep customization as an exclusive feature for their flagship Moto X.
Engrave text (up to 14 characters) in the back. So, you can design your own Moto G 2015 with 200 possible color combinations!! No other smartphone manufacturers offers such customization. The bad news is that Moto Maker may be not available in some countries. Moto G is positioned as the best the middle-range smartphone. 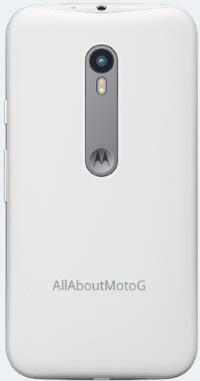 So, it is not strange that Moto G does not have the cutting-edge camera sensors in previous generation. In Moto G 2015, Motorola dramatically improved the camera. Quick Capture (twist wrist to launch camera). This used to be an exclusive feature of Moto X.
manual focus and exposure controls. You should expect dramatic improvement in photo and video quality in Moto G 2015. What’s Moto G USB OTG? USB On-The-Go (USB OTG) is not a new technology. It allows a device to perform both master and slave roles in USB connections. Android fully supports USB OTG since Android Honeycomb 3.1. Normally USB uses a master/slave architecture. A host acts as master device for the connection, the other USB device acts as slave. Devices are designed to assume one role only. For example, when you connect an externl disk to the PC, PC is always the host, and external disk is always the slave. When you connect two external drives through USB, nothing happens. For Moto G, like many other phones, when it is connected to PC, it will be acted as slave and mounted as a storage device. You can access the file on the Moto G from your PC. But what happens if you connect a USB thumb drive to Moto G? Moto G can mount it as external storage and you can use it just like you use external drive on a PC! Because Moto G supports USB OTG. Of course, there are some other requirements to make it work. We will discuss them later. How Moto G USB OTG can help Moto G owners ? So, basically, Moto G USB OTG makes it possible for you to use external USB devices on Moto G.
Storage is just an example. The miserable storage in Moto G usually is the motivation for some owners to find ways to expand the storage. You can also hook many other USB accessories, e.g., even an USB keyboard or mouse. In this guide, we will focus on storage because it is the most wanted Moto G USB OTG usage. Also this guide applies to Moto X and many other Android devices, although Moto G is used. What do you need to use Moto G USB OTG to expand your storage? an USB OTG adapter (less than $10). One end of the USB OTG adapter connects to USB storage, which can be a normal thumb drive or even a portable hard disk. The other end connects to Moto G directly.